And get unlimited access to this gym and 1753 others. PLEASE NOTE: Passes for this site is valid for Mon-Thurs ONLY. Last admittance is 1 hour before closing. Spa Naturel is a luxurious gym and spa in the Mercure Sheffield St Paul’s Hotel. The leisure club boasts a variety of state of the art equipment, so you’re bound to find something that will help you work towards your fitness goals. Their cardio machines include treadmills, rowing machines and cross trainers to ensure your get your heart pumping and build up your stamina. Resistance machines are also top notch here, including the lat pull down, leg extension and adductor and abductor machine. In the free weights range you’ll find plenty of dumbells, barbells and benches to meet your weight training needs. 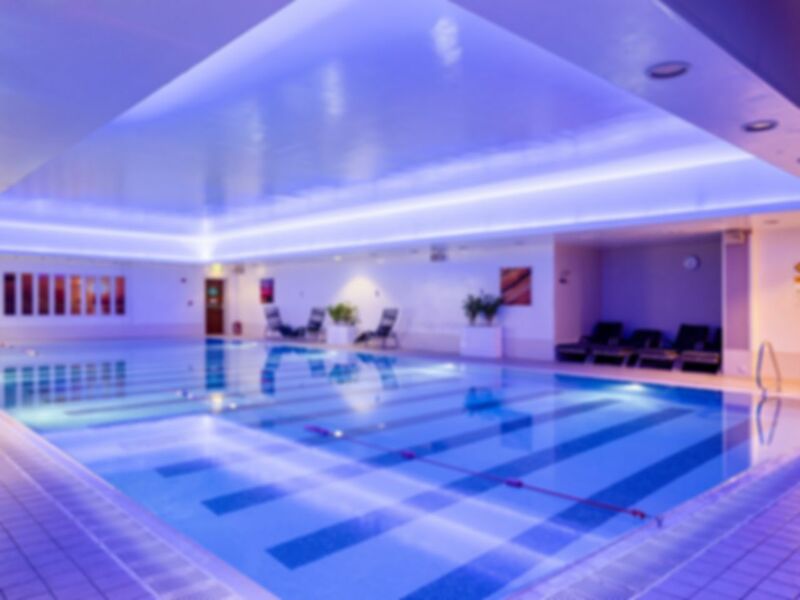 The 18 metre indoor swimming pool is perfect for relaxing or practising your swimming technique. You can also make use of the rock sauna and steam room – the perfect way to wind down after a long day or vigorous workout session. You’ll find the health club on Norfolk Street, opposite Sheffield Town Hall, with great transport links near by. Very quiet in the gym. Health suite area was busier but relaxing using the swimming pool and sauna/steam room. Used the gym and all machines were available to use, a few other people using the gym. Quiet in the swimming pool area, all facilities working. Used the gym very quiet. The Spa facilities were excellent, spent a nice relaxing time in the pool and health suite. Used the gym mid morning very quiet. Although the Spa was busy relaxing using the facilities including the pool. Plenty of room in the gym to use the equipment, not busy. Health suite area was peaceful, quiet and relaxing. Excellent facilities. The gym area was fairly quiet, equipment was easily accessible. The health suite area was relaxing, peaceful and quiet. All the facilities were working and spent an excellent afternoon relaxing. Very poor, some spa sauna facilities not available, no water in ladies changing area and floor was extremely slippery near pool... no nice ambiance, robe given was ripped, slippers were cheap and the lady who did the massage had smelly feet which made the experience bad... which is a shame!